The B&G Vulcan 12 is a chartplotter built specifically for sailors, packed with sailing-specific functions and featuring an intuitive 12-inch multi-touch display. Pinch to zoom, swipe to pan; the Vulcan 12 is as easy to use as a smartphone or tablet, and designed to make your life on the water easier. This powerful chartplotter has all the usual features such as waypoints, routes and tracks. It comes with a high performance internal GPS antenna ensuring pinpoint position accuracy. With B&G's award-winning SailSteer™ function, you can see all of your key sailing data at a glance. View data together on one handy dedicated screen, or overlaid on charts for the modern sailor's ultimate navigational view. With the addition of sailing instruments and sensors via industry-standard NMEA 2000® networking, SailSteer evolves to show Boat Speed, Wind data, Heading, Tide, Wind Shift Sectors and even Laylines – enhancing the detail on SailSteer and chart screens. It's easy to add waypoints or plot a course; with B&G SailingTime you'll see waypoint arrival times based on realistic sailing course and tidal effects, rather than a straight-line calculation. When connected to a B&G Pilot system, the Vulcan 12 acts as a secondary autopilot controller providing Intelligent Sail Steering, manual and auto steering functions, and Smart Manoeuvre functionality combined with intuitive menus for ultimate control. Integrate the Vulcan 12 with your onboard instruments to use the screen as a large, highly-visible instrument display. Create and customise single, dual and 4-way data page layouts. Vulcan 9 design delivers maximum display space in a small form factor. The intuitive multi-touch interface features common gestures like pinch-to-zoom and swipe-to-pan, making the Vulcan 12 incredibly easy to use. Choose from C-MAP™, Navionics®, NV Digital™ or Insight charting options to make the most of your routing and planning. 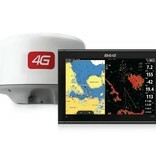 Vulcan 12 features built in Wi-Fi allowing you to connect to the internet, via a marina or smartphone hotspot, and access the GoFree™ Shop where you can download charts and software updates direct to your display. You can also mirror the screen of your Vulcan 12 on a compatible smartphone or tablet, allowing you to view and control (tablet only) your chartplotter from virtually anywhere on your boat. This makes the Vulcan 12 an incredibly cost effective dual-station solution for smaller boats. Easily and seamlessly connect essential kit for cruising and sailing such as sailing instruments, the B&G SonicHub marine audio server, ZG100 external GPS antenna, and DSC VHF Marine Radio. Vulcan 12 gathers data as you sail, ready when you need it. 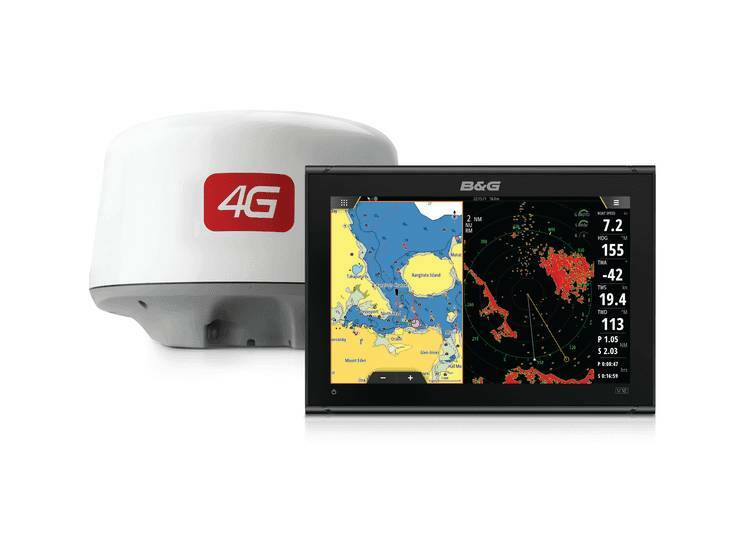 Add B&G Broadband 3G™ or 4G™ Radar to keep watch as you sail, with the ability to identify and track targets from 36 nautical miles away (4G) to right off the bow. Cruise safely through crowded harbours, avoid obstacles in poor visibility, and keep an eye on distant storm cells all from your Vulcan 12 display. Add an optional ForwardScan™ transducer to see what lies ahead under the water with approaching depth information. Explore poorly-charted or unfamiliar waters confidently with a clear image of the bottom ahead of your boat.